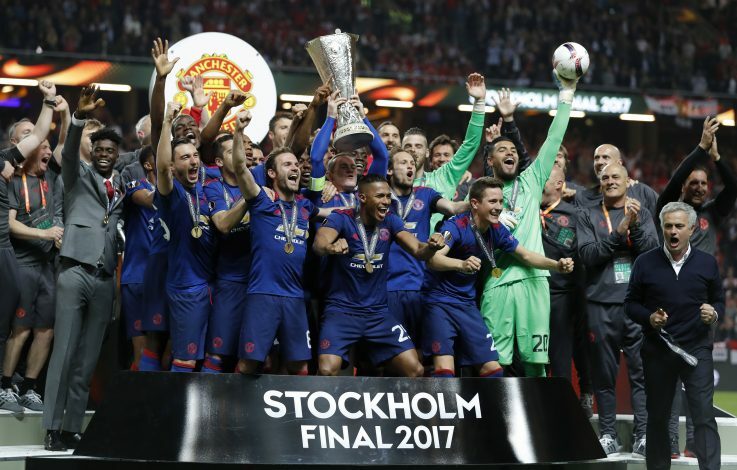 Season Review: Manchester United – An Underachieved Treble? When Manchester United hired Jose Mourinho as their manager in the summer, the world was ready for the Red Devils to rise back from the ashes and challenge for trophies like they used to under the legendary Sir Alex Ferguson. The further addition of mega stars like Zlatan Ibrahimovic, Paul Pogba, and Henrikh Mkhitaryan lifted the hopes of the fans to sky high levels, and after spending over £150 million in the transfer window, nothing except greatness in a season was what ‘The Special One’ and his troops must have been aiming to achieve. The players and fans of the famous red club from Manchester can boast about an unbeaten run of 25 matches in the Premier League, which was a record set by the squad, and admitted that it might sound extremely pleasant on paper, the reality of it was that it consisted of a meagre 13 wins and 12 frustrating draws. Costly home draws against West Brom, Stoke City and Burnley were among many matches where the team lacked a winning touch and dropped crucial points, resulting in them losing out on the title race. However, the run of form did see them maintain constant threat to the top 4 spots and stay within touching distance of where they desired to be. 2. Busiest Medical Staff In England? As Mourinho’s men played in every competition they possibly could feature in, it resulted in an exhausting run of fixtures following each other at breathtaking pace, which caused countless injuries to crucial players time and again, and dented their hopes of challenging for the League title eventually. Fatigue was a regular visitor to their players during the relentless campaign, and names like Luke Shaw, Zlatan Ibrahimovic, Marcos Rojo, and Ashley Young were on the worst side of things as they got injuries which kept them out for the ending bits of the footballing season. As everybody constantly criticised Manchester United for their poor domestic season in the Premier League and their inability to finish in the top 4, the side quietly went about their business in the cup runs, and did magnificently well in each one of them. 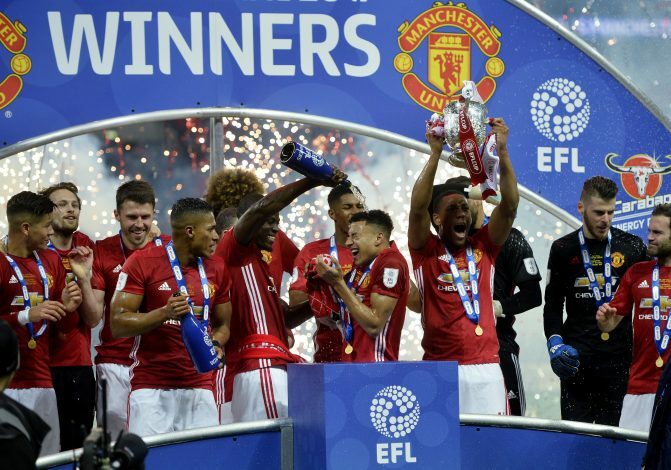 The squad managed to go all the way in the EFL Cup and win the title for the first time in a decade, and Zlatan Ibrahimovic and his goals were of utmost importance in that process. The FA Cup saw Mourinho’s players reach as far as the last eight stages, where they were beaten by Chelsea – a match that was decided as soon as Herrera got a red card and United were down to 10 men against the English Champions. However, the season defining match for the team from England came in the Europa League final, as they faced Ajax in an attempt to salvage what had been an underachieving and slightly disappointing season. 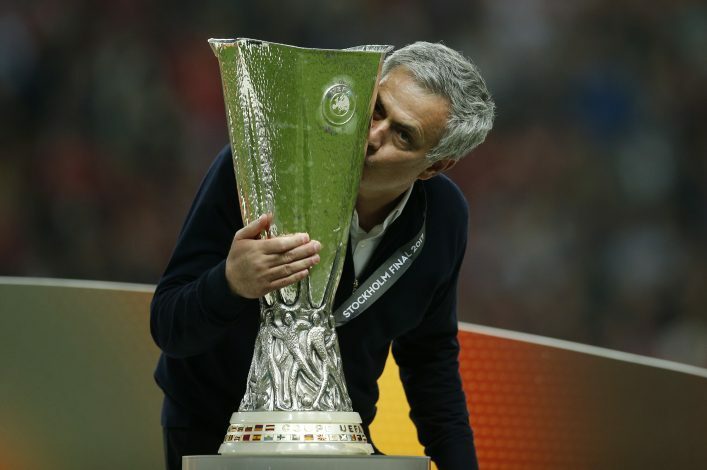 Fortunately, the side were able to brush the Dutch opponents aside and win the European Trophy – the only one missing from their cabinet, and hence automatically qualifying for next year’s UEFA Champions League. The League is where the confusion stands, as the players and the fans have no idea which way it went, and if it can be called a good season or a terribly disappointing one. The Reds started the campaign with three wins from the first three matches, which was then stopped by a defeat to local rivals Manchester City. Things went further downhill when they got thumped by Chelsea 4-0 at Stamford Bridge, and honestly, there was no road to recovery after that. Despite going on a 25-match unbeaten run and beating Chelsea in the reverse fixture, a single goal against the top 5 in away matches defined how poor they were in putting opponents away, and frustrating draws against Burnley, West Brom, Arsenal, and many other sides left them hanging in 6th spot. The side eventually finished in 6th position itself, more than 20 points behind winners Chelsea, and that clearly shows the scope of improvement that is present for all to witness. Manchester United have won three trophies including the Community Shield in the season gone by, and as most clubs in the world would call that as successful as it can get, such are the high standards of this particular club where there is still an air of underachievement surrounding everyone involved. With big name players like Antoine Griezmann and James Rodriguez linked with the club, and Mourinho bringing back Champions League to the Theatre of Dreams next season, one can surely predict better times coming ahead for the squad. But until then, Europa League success can be enjoyed upon, and the season can be called slightly successful as compared to disappointing.